As you might have guessed, this playdough recipe keeps the playdough fresh longer than other playdough recipes. It’s great to be able to store the playdough for a while. 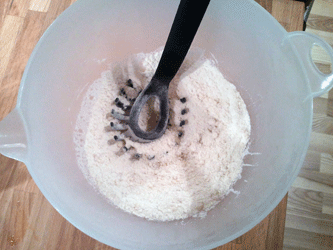 Mix flour, salt, alum and oil in a large bowl. Carefully pour in boiling water. The mixture will be hot so watch your hands. When finished, store the playdough in an airtight container in the refrigerator. Stays fresh for over a week, probably more. The short version of the recipe is usually simple to follow, but if you feel like you need a step-by-step explanation with images, here it is. 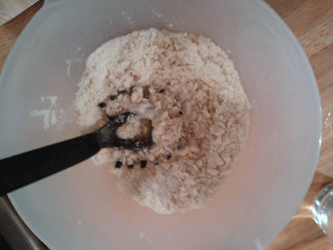 We begin with all the needed ingredients, flour, salt, alum, oil and water. The water on the image isn’t boiling, but that’s what you need, boiling water. 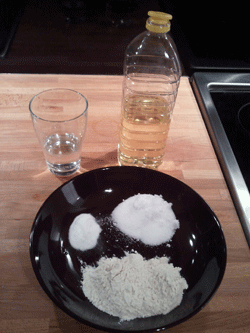 Pour all the ingredients but the water into a bowl and briefly mix them together. It will look something like this. After some carefully added water and kneading it should look like this. I don’t use my hands until all the water is added, it’s just too sticky. Remember that the water is hot. 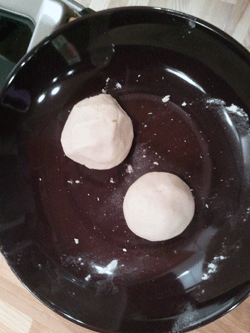 After some more added water and kneading, the playdough will look like this. Be careful with the water since it can make the playdough too loose. If that happens, try adding some more flour and salt. After cooling, remove the playdough from the bowl and let the creating begin. 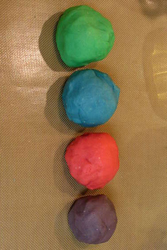 My finished playdough looked like this. A bit boring and some food coloring would sprite things up a bit. 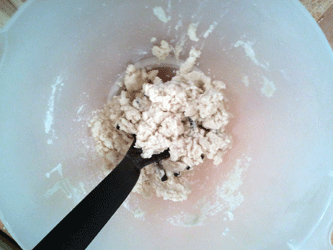 The playdough contains salt, which will dry your hands, so remember lotion after handling the playdough. Enjoy! What is the difference between cream of tarter and alum? Is alum better than cream of tarter?